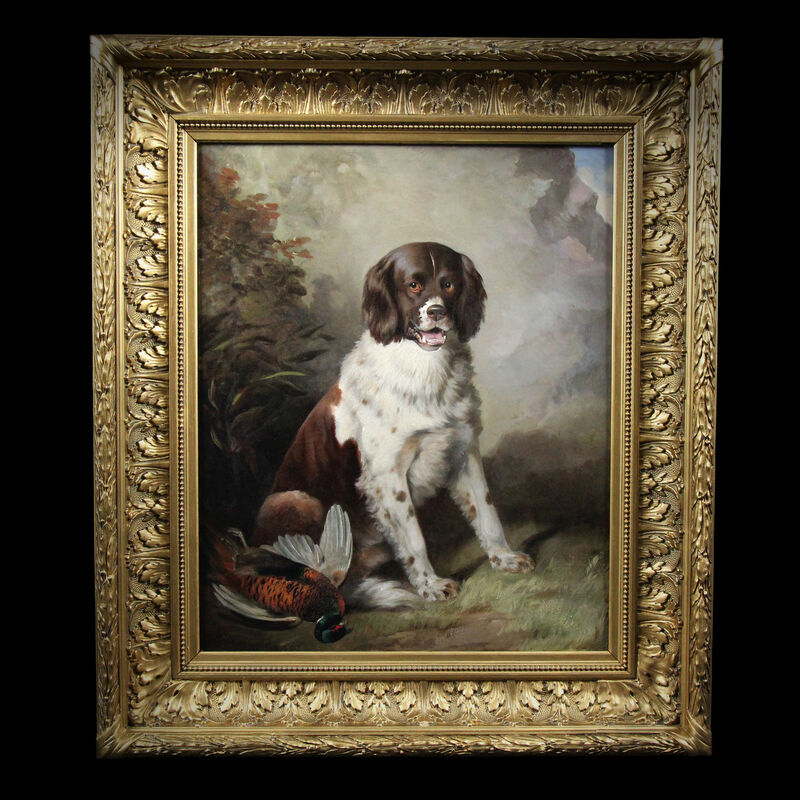 Oil painting , hunting scene with dog and pheasant by or art. 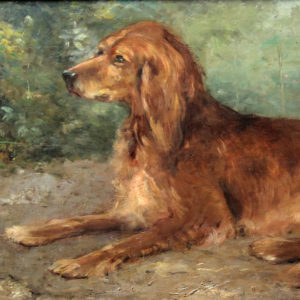 to ” Edwin Henry Landseer ” British school 19th . 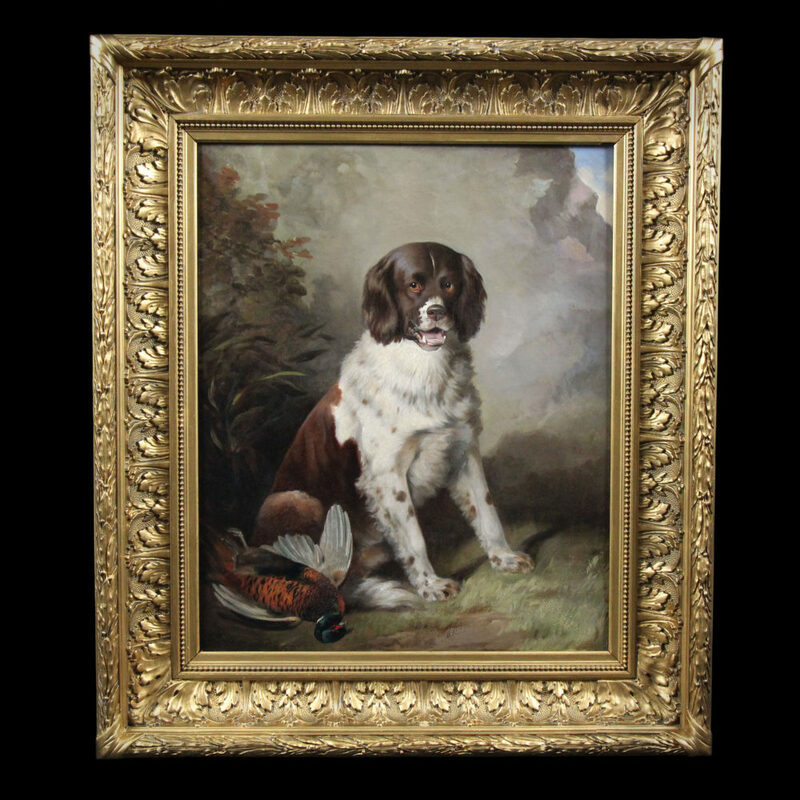 Landseer was born in London, the son of the engraver John Landseer A.R.A. 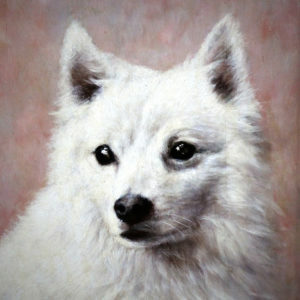 He was something of a prodigy whose artistic talents were recognised early on. 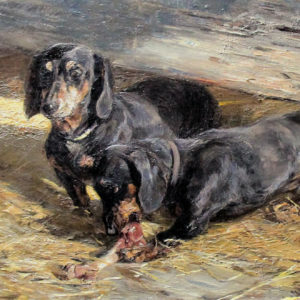 He studied under several artists, including his father, and the history painter Benjamin Robert Haydon, who encouraged the young Landseer to perform dissections in order to fully understand animal musculature and skeletal structure. 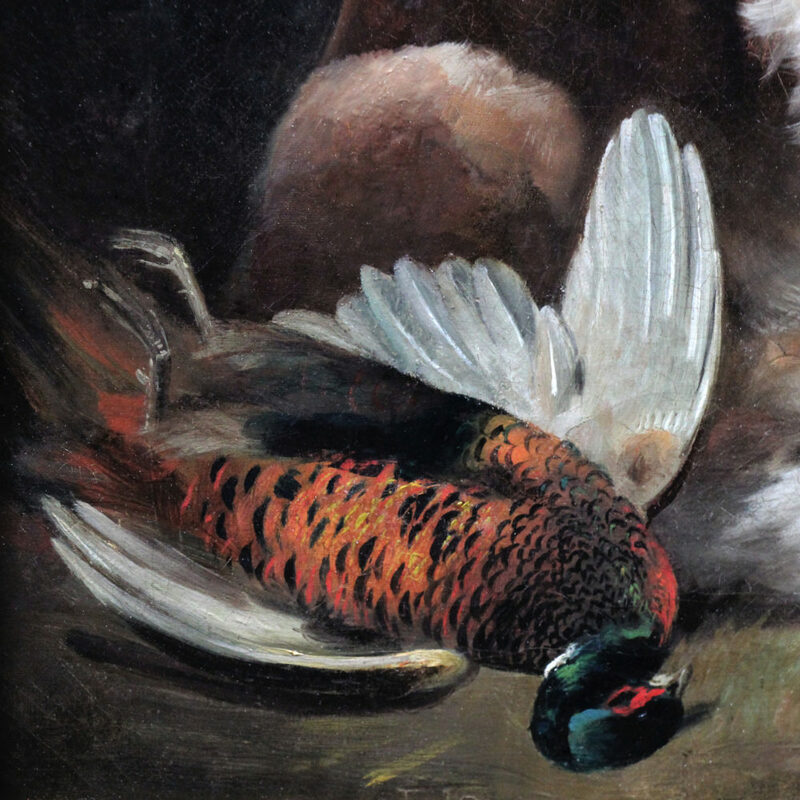 Landseer’s life was entwined with the Royal Academy. At the age of just 13, in 1815, he exhibited works there. He was elected an Associate at the age of 24, and an Academician five years later in 1831. He was knighted in 1850, and although elected President in 1866 he declined the invitation. 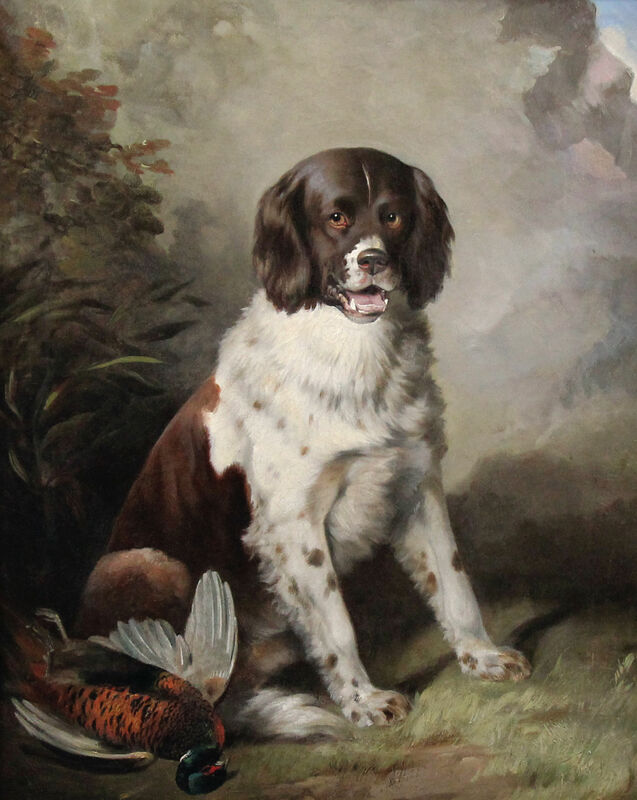 Landseer was a notable figure in 19th-century British art, and his works can be found in Tate Britain, the Victoria and Albert Museum, Kenwood House and the Wallace Collection in London. 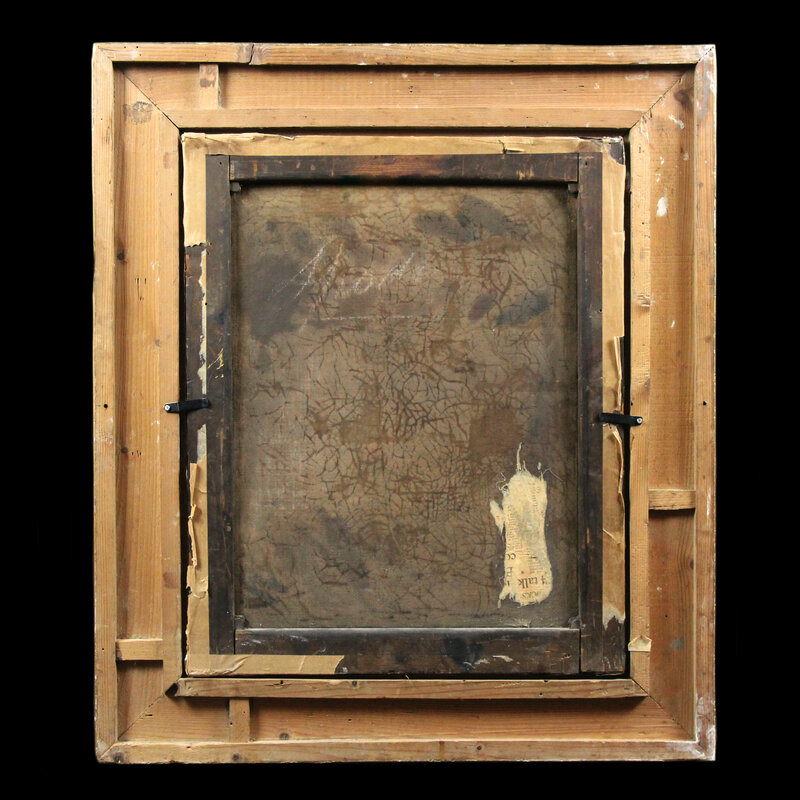 He also collaborated with fellow painter Frederick Richard Lee. 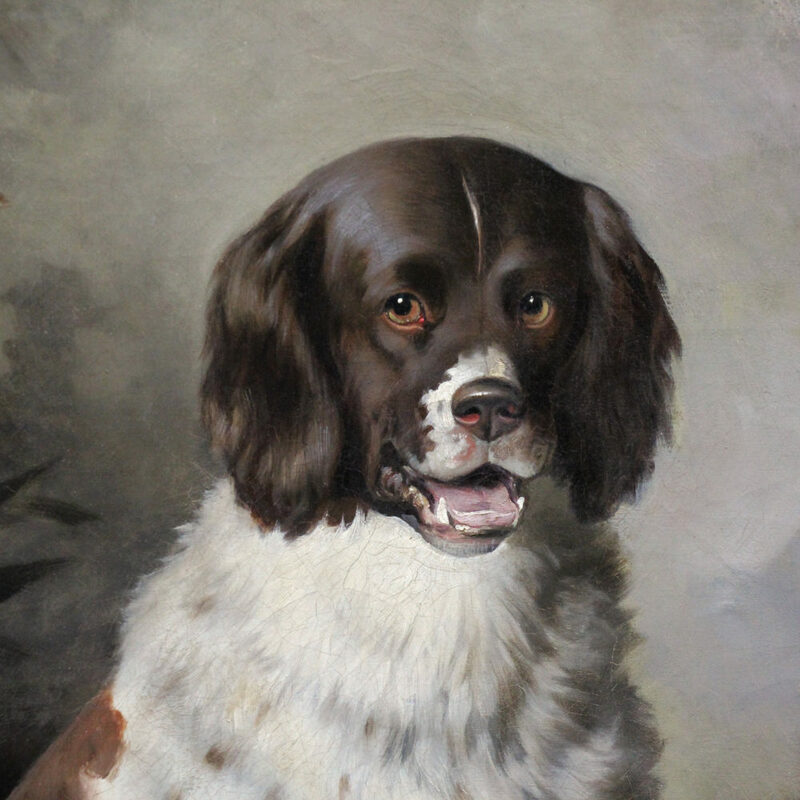 Landseer’s popularity in Victorian Britain was considerable, and his reputation as an animal painter was unrivalled. 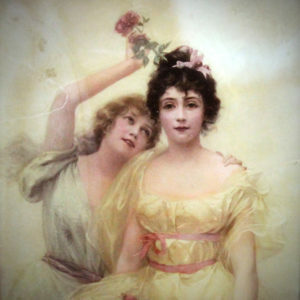 Much of his fame and his income was generated by the publication of engravings of his work, many of them by his brother Thomas.